Address and the pin code entered in the Cart are not matching. Customer shipping country (destination country) out of selected shipping zones. No shipping method (default or third-party shipping service) is enabled. You have not enabled the plugin (real-time rates settings). No services are selected in the Rates and Services settings. Destination country out of selected countries. You have chosen the Pack items individually method for parcel packaging. Weights and dimensions are not specified for the products. Remember, the DHL API calculates rates on the basis of product dimension and weight. We request you to try the above methods. Thanks a ton for your help! I had not configured the product weight and dimensions, and forget to select services from the rates and services of the plugin. 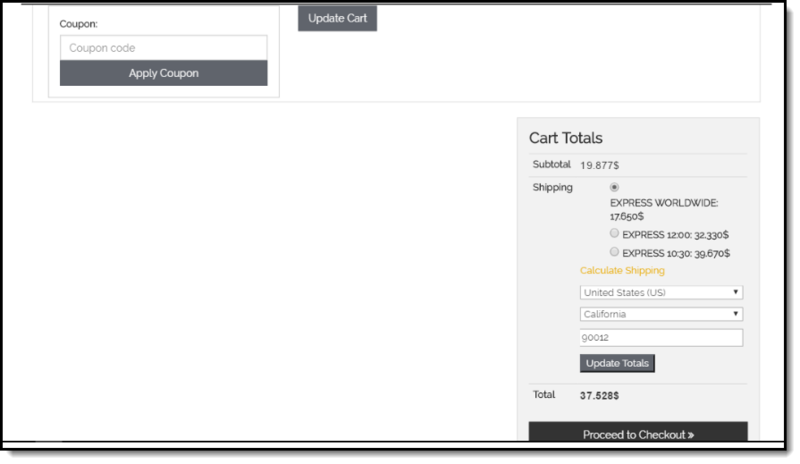 I’m now getting the real-time rates in the cart. I have attached the screenshot below. Thanks again!